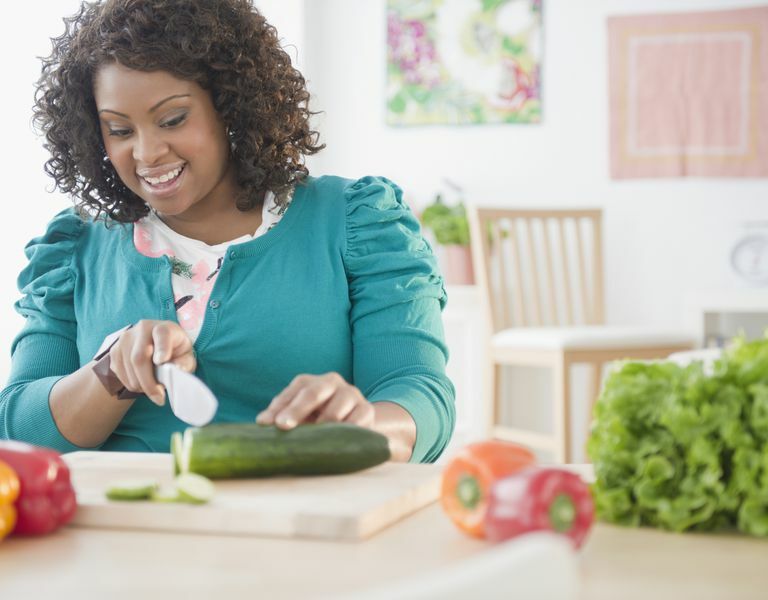 Are you trying to cut calories to lose weight? If so, you may be confused by all the numbers you see online and in magazines. It's hard to figure out exactly how many calories to cut to lose weight effectively and keep the pounds off for good. But don't worry. Cutting calories is easier than you might imagine—once you get the facts. There are different ways to lose weight, but all of them require that you change your daily calorie balance. Experts call this your energy balance. The simplest way to change your energy balance is to reduce your calorie intake. You can accomplish this by eating smaller portions of food at mealtime, by skipping snacks and high-calorie drinks, or by swapping high-calorie unhealthy foods for lower-calorie nutritious foods. You can also add exercise to your weekly routine to increase your calorie deficit and lose weight faster. But be careful. This plan works for some people, but it backfires on others. Exercise is good for your body and should be part of a healthy lifestyle. But exercise can also make you hungry. If you're already cutting calories to lose weight, the added hunger after exercise can be overwhelming, and it may cause you to quit your weight loss program altogether. Most experts recommend that you cut approximately 500 to 750 calories per day to lose one to two pounds per week. You can use this weight loss calorie goal calculator to figure out how many calories you should eat each day. Of course, in order to meet your goal, you need to keep track of how many calories you eat. It's best to keep a food journal. Your journal can be a simple pen and paper journal that you keep with you throughout the day. You can also use a smartphone app or website that tracks calories for you. Many activity trackers allow you to count calories within the product's online dashboard. Use the method that is easiest for you so that you track your calories consistently. So if cutting calories can lead to weight loss, you might be tempted to cut as many calories as possible to slim down. Some dieters even lower their daily food intake to 800 calories or less to lose weight. But extremely low-calorie diets usually don't lead to permanent weight loss for several reasons. First, very low-calorie diets (VLCD) can affect your metabolism. Some dieters call this "starvation mode." When you eat far less than your body needs, your metabolism slows down to adjust for the lower supply of energy. When your metabolism slows down, your rate of weight loss slows down, too. You won't gain weight by eating less, but you might lose weight more slowly than if you eat the right number of calories. Next, very low-calorie diets affect your daily energy level. Why does this matter? Your daily activity level has a big impact on the number of calories you burn every day. If you stay active and burn more calories, you're more likely to see weight loss results. If you're exhausted from eating too little, you won't burn as many calories and weight loss can stall. Lastly, very low-calorie diets are uncomfortable, unsafe and difficult to maintain. Without medical supervision, it's unlikely that your body will stay healthy without essential nutrients. And if you get overly hungry from the decreased food intake, you're more likely to binge and possibly even gain weight because of it. Cutting calories isn't the trendiest method of weight loss. You probably won't see Hollywood celebrities talking about it in magazines or on social media channels. But making moderate adjustments to your daily caloric intake is a time-tested, evidence-based method to slim down. It is the method that is most recommended by experts in the health field. Just be careful that you don't cut too many calories and risk your health. Your body needs time to adjust to a new lifestyle and a new eating plan. Take it slow and make small adjustments to see real weight loss results that last.